Should I buy a puppy or rescue an older dog? Are you getting a new dog? Part of deciding to add a dog to your family is choosing the right dog. A big part of this is making the choice between a puppy or an older dog. Each stage of a dog's life has numerous advantages to the other stages, so it really boils down to what matters to you most. Here are the pros and cons of adopting dogs of different adult ages. Officially seniors by seven years of age, most dogs don't earn the "settled senior" title until they are nine years or older, especially smaller dogs that mature slower than larger breeds. Senior dogs are wonderful, tempered animals that don't get quite as excited, or quite as anxious as young dogs. They are happy to either walk a sedate mile with you or lounge on the sofa beside you. Most senior have already been house trained, evaluated for their compatibility with other animals and children, and have had additional basic training. It's hard to watch a pet you love age and die. However, this relationship will be truly rewarding. Even knowing that heartache could be right around the corner, most owners would do it again and again because the joy is just so much more. Plus, a nine-year-old dog may still have another four years left to live. Why not help make those years as comfortable and content as possible by giving him a lovely retirement home? A senior dog may have age-related issues that could be either time-consuming (sight or hearing loss) or expensive. Undesirable behaviors that have been picked throughout the dog's life may be harder to train him out of. You can teach an old dog new tricks, but undoing behavior is harder. The biggest reason that senior dogs are hard to adopt out? It's the mentality of "why would I give my heart to a dog who is only going to die in a year or two?" Dogs wiggle into your heart rather quickly, and adopting a dog that is 10 years old could mean that your relationship is of a short duration. From three to six years of age, a dog has really come into himself. He knows what feels good, what tastes good, and where to get what he wants. Adult dogs know how to settle into the good life with little fuss. Adult dogs in shelters and rescues are usually mostly house trained, if not completely. Many have had basic training (sit, stay, come, etc.). Most dogs have been evaluated by the volunteers for compatibility towards other animals and kids. A full-grown adult dog can still be puppy-like in his desire to play and run with you. Dogs of all ages love to play and a full-grown dog has fewer physical limitations on what kind of physical activity he can do. Most adopted adult dogs seem to know they have found a good life and are reluctant to leave it. It's harder to un-train a dog of certain unwanted habits, like counter-surfing, garbage-eating, etc. Luckily, it can be done, it just takes persistence and consistency. Adult dogs have an unknown quality to them. Something completely innocuous could turn them into fear-biters or undo weeks of socialization. The fear that an adult dog won't bond properly with his new owners is a big one. Some breeds are notorious for being "one-man" dogs, and this puts off a lot of potential adopters. From one to three years of age is, in my experience, the most frustrating period for dog owners. Like teenagers, they push their boundaries and try to get away with all sorts of mischief. This is, unsurprisingly, the age that is most often surrendered to shelters by owners that can't take it anymore. Consistency and supervision are the most important things for this stage, even if it means going right back to basic puppy training. Dogs over a year old have made connections between behavior and reward, even if that reward is slightly delayed. The age-related restrictions on physical exercise have started to lift, allowing to do more strenuous play with your dog, like longer hikes, jogging, jumping games and starting dog sports if you are so inclined. There might be behaviors that you need to deal with, like counter-surfing, biting, and inappropriate marking. As was mentioned earlier, adolescent dogs will push their boundaries and constantly try to get away with things. It takes a stern leader to get through the adolescent stage, but once you do, the rest is pretty much smooth sailing. Nobody can resist a puppy; that sweet puppy smell, that adorable face, and the insatiable curiosity. All cuteness aside, puppies are a lot of work and every pleasure of a puppy has its match in unpleasantness. Starting with a puppy is starting with a blank slate. 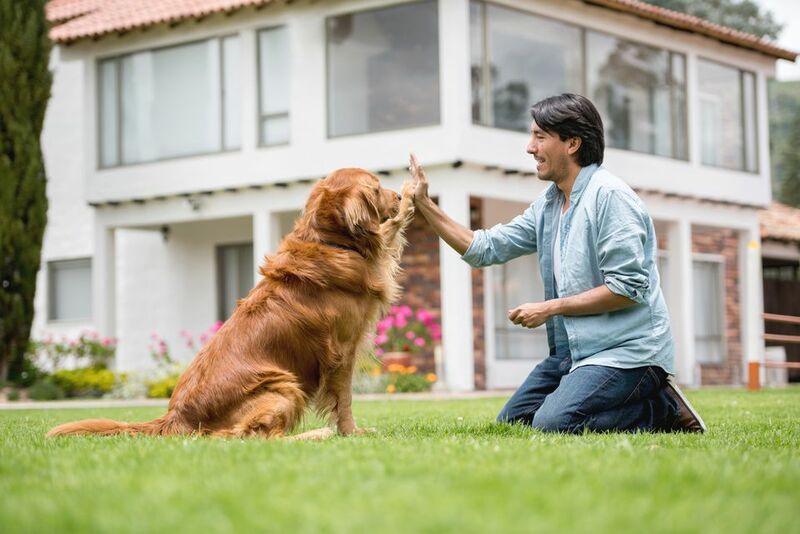 While genetics do play a role in how your matures and what type of personality he develops, most of his adult life will be shaped by you, his owner, trainer and "parent." Puppies are adorable and cuddly! Puppies take A LOT of time. You really don't want to get a puppy when you aren't home a lot of the time. Your puppy will be missing out on valuable training and socialization if he is he left alone for long periods. You will need to invest a little more money at first on your puppy's vet care for things like puppy vaccines and spay or neuter.